Hi everyone! This is my first post for MyOwnWeekend. See I now work in a call center again and my schedule really isn't normal. I wake up in the middle of the night around 1am take a bath, fix my self and ride a bus to work. My work week starts on a Saturday and ends on Wednesday, everything is quite the same as everybody else except for the time and days that I work that is why I do things that normal people can only do on a weekend. Off I go from the office it was Wednesday afternoon and it was soooo hot! humidity was really bad I felt like I had a fever. Yes! that bad. Well tiis tiis nalang.... I walked all the way from my office in Shaw blvd. 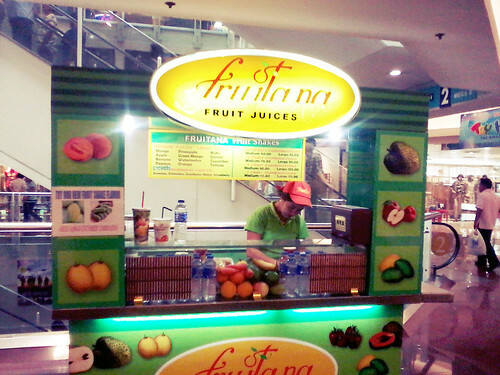 to Megamall, as soon as I stepped inside the mall I felt soooo blessed! It was so nice and comfortable inside. 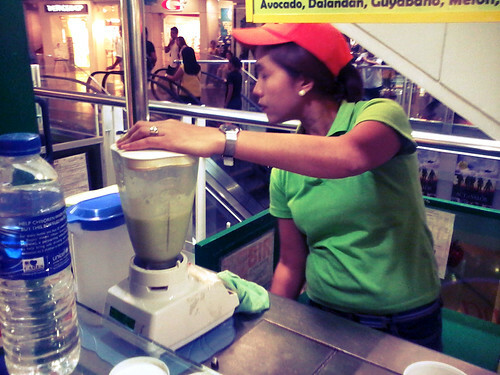 As I walk out of the department store section of the Mall I saw a fruit shake stand that made me crave for a Choco-Banana shake, my favorite. I like the way the choco and banana's flavor mixes and gives me a texured subtle choco taste. 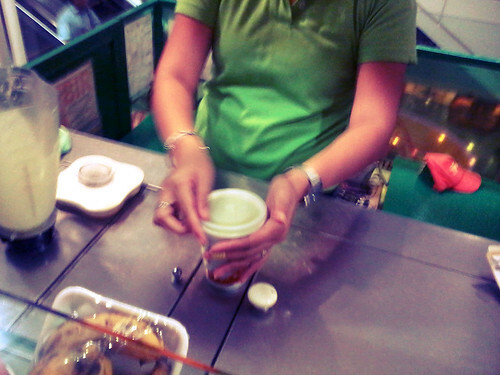 Unfortunately they don't have that mix but just a regular banana fruit shake with milk. Good thing that I was trying to inspect the store's fruit basket and saw one of my favorite fruit! Avocado!!! yes! Avocado is really good but it should taken in moderation. Seriously! Avocado is high in cholesterol that could make your blood pressure high and for people like me, our cholesterol level raised. I walked around the mall and crossed and bought some doughnuts for a friend that I was visiting that day. I walked back to Shaw and took a jeep to get to their home. She's 7 months pregnant and it has been a while since I got to see her so I paid a visit since it was just a ride away from where I work. We spent the after noon catching up about life and what we have missed about each other. The sky was getting darker so I decided go home. The sky was showing off again, it was burning with bright yellow and eventually turning to orange. But the clouds were winning the battle. 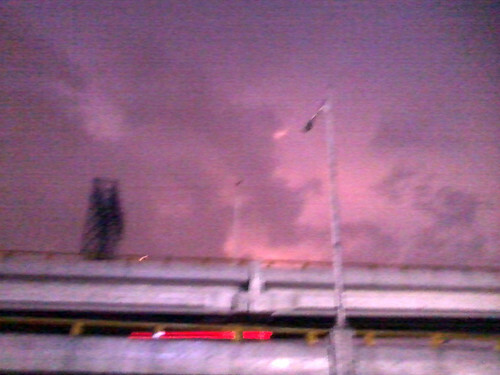 Soon the sky over me was as dark as night but beyond the horizon the orange sky was peeping through. I was trying to get into a bus going home but the rain was pouring hard, so I decided to go back inside the Mall and roam around. 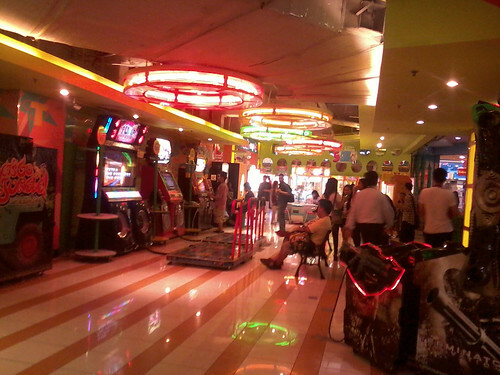 It has been a while since I have been back to Robinson's Galleria and roaming around brought back a lot of memories. 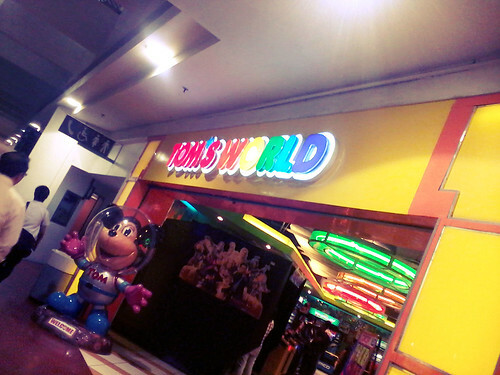 Specially when I hang out at the Tom's World area. This is where me and my daughter use to play around and bond. I miss you bhembhem. As soon as the rain stopped I went back outside took a bus home where I felt dead tired. I just checked my mail, fb and slept. My body was aching I succumbed to my bed's call as I haven't slept for almost 20 hours that time.